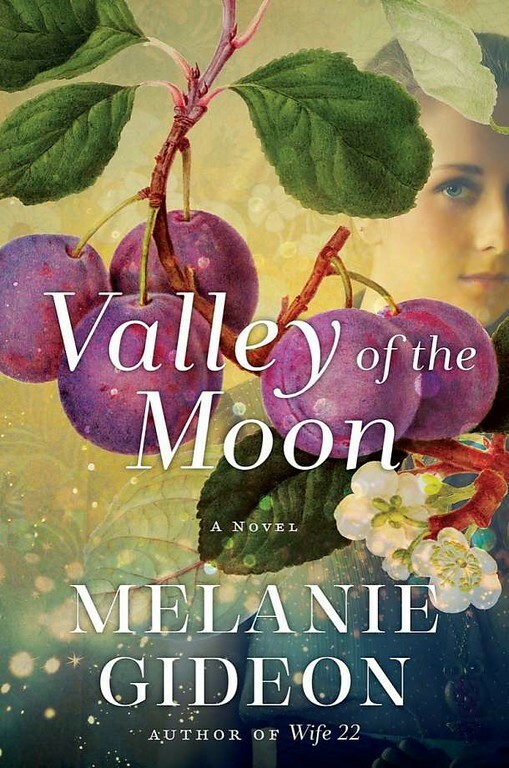 A book review of Valley of the Moon by Melanie Gideon. Post may contain affiliate links. Don’t you love it when you choose a book solely on the cover, you have absolutely no idea what it’s about, and then you end up loving it? That’s what happened with Valley of the Moon by Melanie Gideon. I think the book was recommended to me because I liked The Time Traveler’s Wife, but since I was already reading another book, a few days later when I started reading the book, I had completely forgotten that hint about what it might be about and just fell in love with the cover. The story is the artful weaving of two times, the 1906 San Francisco earthquake and San Francisco in the 1970’s. In 1906, Joseph Bell has started a community called Greengage. It’s like a commune where everyone works on the farm. Everyone chooses the jobs that they are happy with and it’s a thriving happy community. Then one day, an earthquake hits and though there is no damage, a deep fog surrounds their community. To their astonishment, they learn that they can not pass through the fog. They are isolated. In 1975 in San Francisco, Lux is a single mom raising her son Benno. She is doing it alone, with some help from her friends, but it is hard. She is estranged from her father, so when her mother and father offer to take Benno for a couple of weeks over the summer, she is hesitant, but then says yes. After Benno leaves, she decides to go camping in the Sonoma Valley. Waking up in the middle of the night, as she leaves her tent, she finds a deep fog. She can see a light through the fog and decides to head towards it. She stumbles into what she thinks must be a movie, for everyone is dressed like the early 1900’s. She has stumbled into Greengage in 1906. After this set up, the story deals with the pull that Lux feels between the two times. She feels so at peace at Greengage, but has a whole life in San Francisco. Joseph Bell who finds Lux so fascinating, both in the stories she shares from her time period and in the feelings that are starting to grow for her. I loved this story from beginning to end. It is well written, the plot moves along quickly. I will definitely be reading more by this author! I received an ARC copy of this book for review, all opinions are my own. I was going to say I’d read this book just for the cover art, and then after I read your review, I knew that I have to look out for this book! I loved The Time Traveler’s Wife and one of my favorite movies ever was Somewhere in Time (from way back in the early 1980s). That is a nice cover and the story is intriguing.